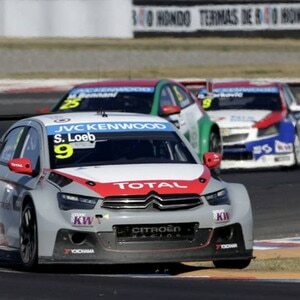 Citroën has retained its FIA WTCC title* after taking pole position and winning both races in Shanghai. In race one, the Citroën Total team took all three podium places, thanks to José María López, Yvan Muller and Sébastien Loeb. José María López is now one step closer to securing the drivers’ title in Thailand (31 October – 01 November). Sunday began with qualifying, which had been postponed from Saturday. The four official Citroën C-Elysée WTCCs all made it through to Q3 to battle it out for pole position. Yvan Muller was the first to set a time but he made a mistake in the last sector. So it was no surprise when his time was beaten by Nick Catsburg, the only driver to seriously challenge the Citroën teams’ supremacy this season. Sébastien Loeb couldn’t outdo the Dutchman, but Ma Qing Hua managed it two minutes later. José María López then rounded off the session in style by picking up his fifth pole position of the season. A few hours later, the drivers lined up on the starting grid for race one. When the lights went out, Ma Qing Hua was left stranded on the grid, while José María López immediately took the lead. The first lap was chaotic, with five cars forced to withdraw after a number of collisions. The safety car was brought out and the pack closed up, with José María López, Yvan Muller and Sébastien Loeb leading the way. After five laps, the pace was stepped up again. Pechito put himself out of reach of his teammates, who in turn moved well clear of Catsburg. In the chasing pack, Ma Qing Hua climbed to eighth position, but was then forced to abandon his race due to a broken transmission. 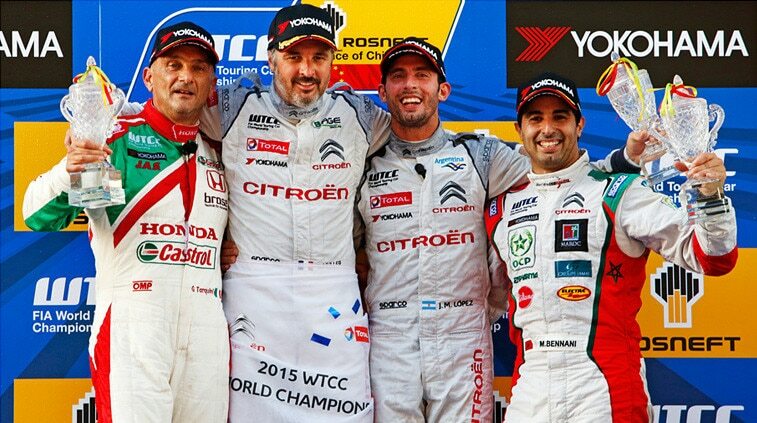 With a 1-2-3 finish for López, Muller and Loeb, Citroën scored enough points to secure the WTCC title with five races to spare. After the podium ceremony, the cars returned to the overheated asphalt for the second race of the day. It was Tarquini who took control at the start, with Yvan Muller and Sébastien Loeb going at it door-to-door behind him. The four-time WTCC World Champion finally got the better of the nine-time World Rally Champion. Lying in wait behind his teammates, José María López took advantage to slip in between them. Muller never let Tarquini get away, making his move just after the halfway mark to sneak past his rival at his first attempt at the end of the long straight. Once he found himself out in front, the man from Alsace soon put himself in an unassailable position. The battle for second place was far from a foregone conclusion, however. López tried to slip past Tarquini whenever the opportunity arose. At the finish line, it was the Italian who clinched the runner-up spot by just 0.025s. 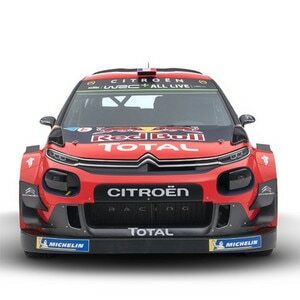 Sébastien Loeb, who was struggling with a tyre that was in danger of going flat, played it safe and settled for fourth. Ma Qing Hua ended up eighth, just behind Mehdi Bennani. The Sébastien Loeb Racing driver also claimed his second victory of the weekend in the Yokohama Trophy for independent drivers. 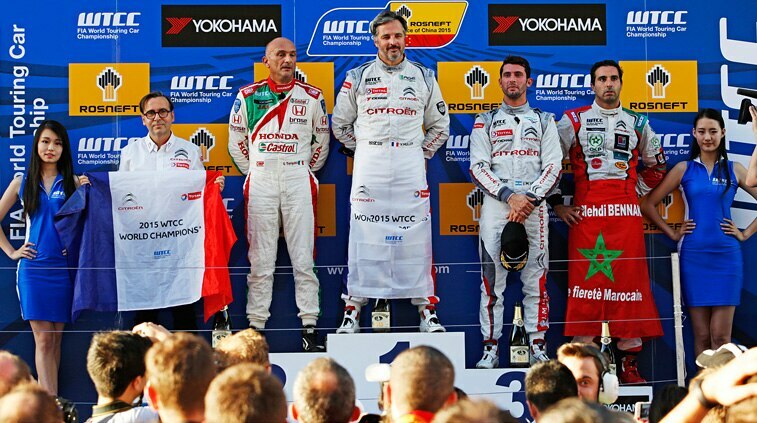 To view the latest FIA WTCC results table, click here. * Subject to official publication of the results by the FIA.